I suspected that there were too many "Occhi" on the market... and now I know why! There is some very familiar about the website given by the vendor in your link and the one given in the link in the above thread. 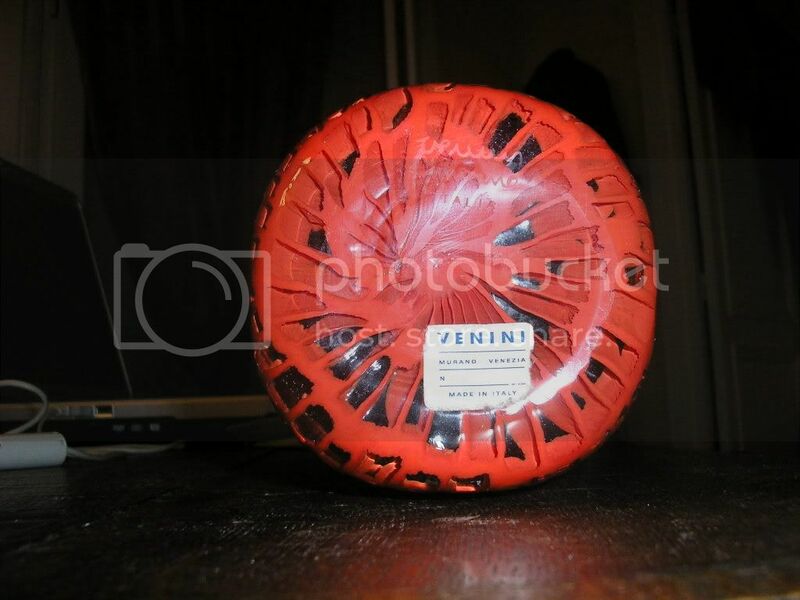 So they're not actually producing Venini fakes, but just duplicating other ebay auctions... that would be comforting. ...On the same subject: how about this "Occhi" a french ebayer was selling some days ago? I asked her for larger pics, but once I received them I was puzzled... it looks like badly executed, with "eyes" not placed in regular rows, although it was acid sign and carried a Venini paper label. I suspect there are a number of dubious Occhi vases around at present and some have been appearing from German and Austrian sellers who have been seen with other dubious designs. They do seem to be improving the quality of their acid signing though often the detail in the designs is not correct. I haven't actually handled one of the dodgy Occhi vases for a direct comparison but I suspect they are European produced. Can't say that I've come across the blue label before either and with any numbering I'm suspicious, also the ITALIA on the acid stamp gives me a feeling of unease. Very difficult to be certain without being able to handle the piece but my own instincts in these cases is to give them a miss unless the seller has a good track record of similar pieces. Yes, Paul, "Italia" is perhaps too small compared to the other two lines. 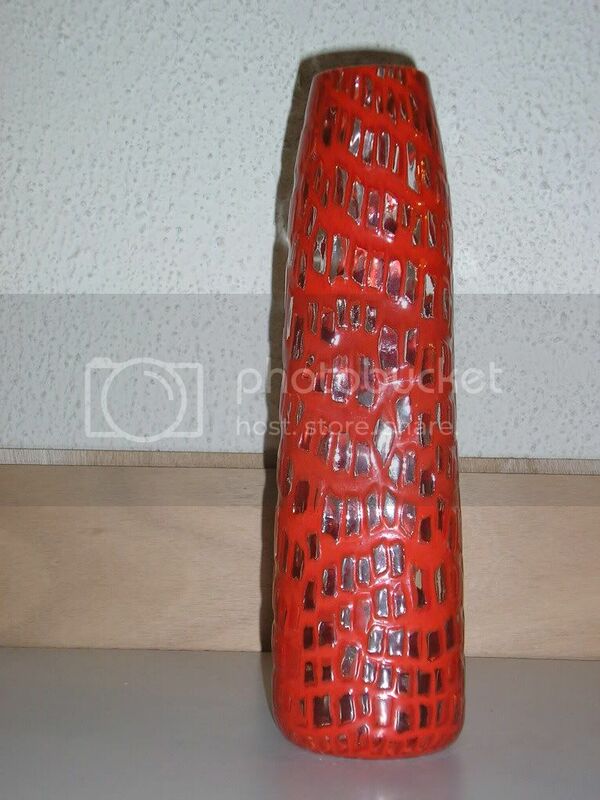 Generally speaking, the vase looks ugly, with no definite shape. ...and it's been sold for 1.697 Euros!!! Well I guess someone was desparate for an Occhi vase irrespective of it's pedigree, or we just got it plain wrong, but it still looks poor quality and questionably marked.